Nene Janet Paterson Clutha ONZ CBE (28 August 1924 – 29 January 2004) was a New Zealand author who published under the name Janet Frame. She wrote novels, short stories, poetry, juvenile fiction, and an autobiography. Frame's celebrity derived from her dramatic personal history as well as her literary career. Following years of psychiatric hospitalisation, Frame was scheduled for a lobotomy that was cancelled when, just days before the procedure, her début publication of short stories was unexpectedly awarded a national literary prize. Janet Frame died in Dunedin in January 2004, aged 79, from acute myeloid leukaemia, shortly after becoming one of the first recipients of the New Zealand "Icon" award. 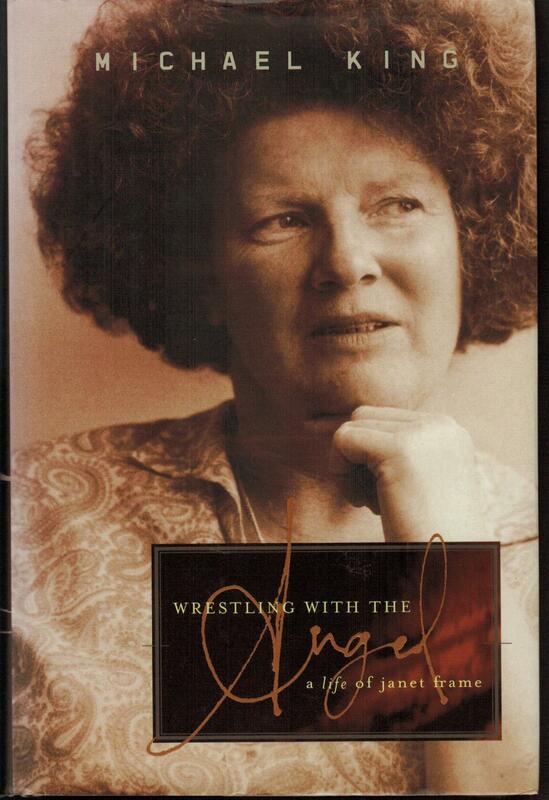 A number of posthumous works have been released since her death, including a volume of poetry entitled The Goose Bath, which was awarded New Zealand's top poetry prize in 2007. This generated a minor controversy among critics who felt the posthumous prize "set an awkward precedent". A novella, Towards Another Summer, was also published posthumously, a work inspired by a weekend Frame spent with British journalist Geoffrey Moorhouse and his family. In 2008, two previously unpublished short stories set in mental hospitals appeared in The New Yorker. Another previously unpublished short story was carried in The New Yorker in 2010. In March 2011, the New Zealand branch of Penguin Books acquired the rights to publish three new editions of Frame's work. These were: Janet Frame In Her Own Words (2011), a collection of interviews and nonfiction, Gorse is Not People: New and Uncollected Stories (2012) (Published in the US as Between My Father and the King: New and Uncollected Stories), and the novel In the Memorial Room (2013). In 2010, Gifted, a novel by New Zealand academic and former Frame biographer Patrick Evans, was published and subsequently shortlisted for the Commonwealth Writers' Prize. The story is a fictionalised account of the relationship between Janet Frame and Frank Sargeson during her time living as a guest on his Takapuna property in 1955–56 – an era recounted in a number of works by Frame and her contemporaries and dramatised in Campion's film, An Angel At My Table (1990). In 2013, Evans' novel was adapted for the stage, premiering at the Christchurch Arts Festival on 22 August 2013, followed by extended tour of New Zealand's north and south islands. While garnering positive critical reviews, the promotion and staging of the production drew fierce criticism from Frame's literary executor and niece, Pamela Gordon, who maintained it "was designed to demean Frame." Gordon, who has also criticised Campion's film for inaccuracies in its portrayal of Frame, asserted that Evans' theatrical adaptation presented an unfaithful view of her famous relative. Festival organiser Philip Tremewan, defended the play, while director Conrad Newport maintained that Gordon was "overprotective of [Frame's] legacy." Evans generally avoided the controversy, stating, "I have publicised her work and popularised it for two to three generations of students. In Gifted, the play and novel, you only have to look at the title to see what my attitude is. I really don't think I have anything to apologise for."